Africa needs access to high quality and affordable education to ensure we are able to compete on a global scale. For Agenda 2063, CESA 16-25 or even for the SDG 2030 to yield any fruit, we need to integrate ICTs in education immediately. This is the belief that got us into developing the EduTab and getting involved in scaling ICT training among primary schools of Uganda through our TechKids Uganda subsidiary. With the EduTab, children are able to consolidate concepts learned in class through reinforcement using the interactivity of software applications, the engagement of video and imaginativeness of books. Mother and child enjoy learning on the EduTab. The EduTab is a normal android generic Tablet PC on which, upon extensive consultation with education practitioners in Uganda, we have uploaded educational Apps, Videos and Books to assist students consolidate concepts learned in school. The different learning mediums cater for students’ different learning styles, engage them through interactivity especially of Apps, provide platforms for constructive learning while providing instant feedback on progress, allow students to study at a time of their choosing and many other advantages that make education student centric. The EduTab can be customised with educational content to cater for any of Nursery, Primary or Secondary levels. It costs 420,000/=( approx 120USD) fully loaded with the educational content. We are also aware of the need to impart 21st century skills(Communication, Critical Thinking and Collaboration) for our children if they are to have a chance of competing on a global scale and we know these skills are best imparted when children learn, research and share information on a digital platform. 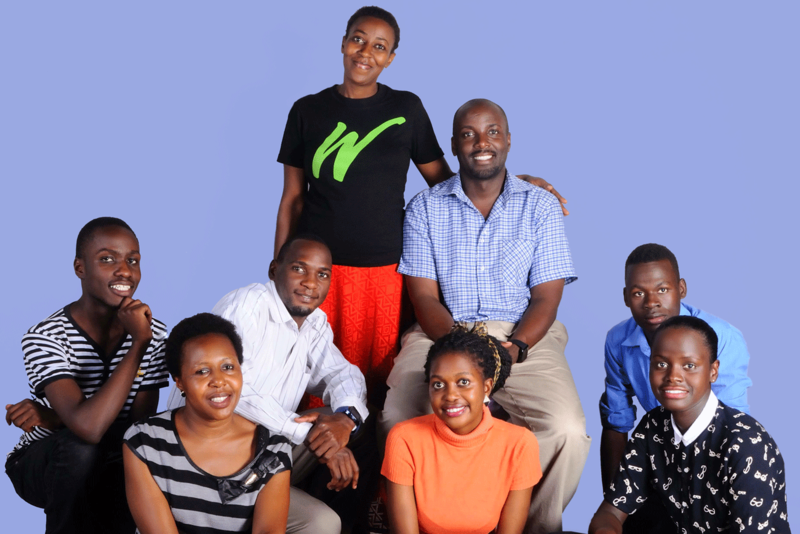 Our appreciation of the need for 21st Century learning had us starting a new venture, TechKids Uganda with its ICT and Computer Programming and Robotics Clubs. These are after-school clubs designed to foster essential 21st century using the fun, interactive, collaborative learning materials. In our clubs, we teach children how to think. To think in abstract terms, design terms, algorithmically, critically, spatially, innovatively, to be risk takers and problem solvers. These are skills of entrepreneurs and entrepreneurship is the great panacea of youth unemployment in Africa. In March 2017, we entered a partnership with Kampala Capital City Authority(KCCA) to pilot our TechKids ICT project in 10 primary schools in Kampala city area. 4- Cost! The cost of building a computer lab, stocking it, maintaining it and hiring expensive IT specialists to man the lab and train the children. TechKids ICT clubs innovate to solve these challenges by providing the hardware in form of Tablet PCs, the tutors, the software and the curriculum. The school is not required to pay any money and is tasked with collection of 20,000/=( approx 6 USD ) per child per term from the parents as the fees due to TechKids. TechKids then interfaces with child for 1 hour,each a week for the whole term. TechKids ICT at Little Blue Bells in Seguku Katale, Wakiso District. 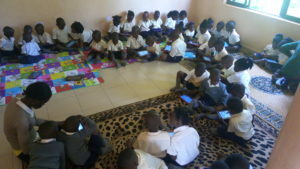 TechKids is now present in 22 different schools in Uganda and cover about 2000 students. Our vision is to reach over 5,000 students within 1year and doubling that to 10,000 within the second year. With the above two initiatives, we believe that more and more children will start to enjoy the benefits of technology enhanced education. This should produce a crop of the next African global players.